Saskatchewan is holding consultations to get feedback on its new employment act. The review will focus primarily on employment standards and labour relations. Some occupational health and safety technical regulations will be addressed later. 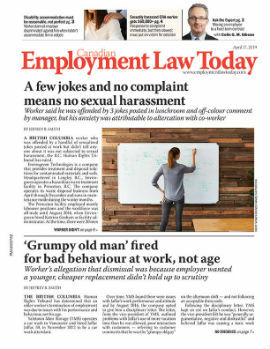 A discussion paper is available on the Ministry of Labour Relations and Workplace Safety’s website at www.lrws.gov.sk.ca/modernizing-legislation.